Could not believe these were Gap when I saw them! Darling! 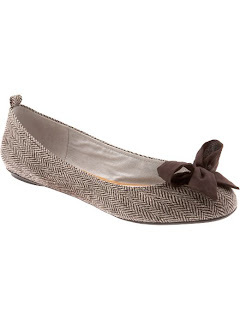 I bought a pair of gray suede ballet flats from the Gap last year and I love them! These are super cute. I will be heading to Gap to check these out. These are adorable, cute, and affordable. I need to check these out quick! Love and need the herringbone! I have been debating which pair to buy since August. Do you own them or are planning on buying them? LOVE these!! so adorable - even though I'm on a "no shopping" phase, I may need to get a pair of these! I love the harringbone! I got two pairs of flights from Old Navy this summer and they were super comfy. I have those in a red, white, and blue plaid and I adore them. 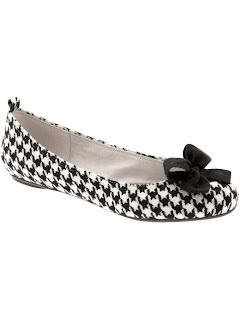 Kate~ when I saw these CUTE flats, I figured they must be expensive! The Gap... Yay. I'm excited and want a pair so bad. I loooooove gap flats. I have some cute nautical looking ones from earlier this year that are blue and white striped with a blue bow on them. Oh, great call! I've been looking for some cute cheap flats! Crazy, maybe I need to go shopping. Hmmmmm, maybe I should save! Love the top pair! Way to go Gap! have to tell you that I have some and they are super uncomfy... ouch! cute, but not the most comfortable shoes in the world. I wear them only when I know I will do very little walking... just to let you all know. I have had my eye on these. They are super cute. But I wondered if they were comfy. I am a huge baby about uncomfortable shoes! 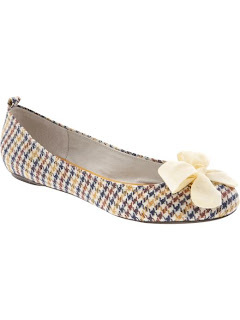 I'm loving all your "Preppy Look for Less" posts...especially these ballet flats! LOOOOVE! Have to get some!